No need to cook on Friday January 25! It’s Breakfast for Dinner in the school cafeteria, 5:30-7pm. Chris Cakes is coming to our school and will be serving pancakes, turkey sausages, orange juice and coffee in the Cafeteria. This fun and FREE event is sponsored by Hazel Wolf PTSA. Cash donations accepted to cover the cost. Can you catch your pancake? We hope to see you at the Lake City Community Center on Saturday, December 1st at 9AM! We’ll have pancakes, turkey sausage, coffee, and lots of fun! All food is prepared by the Lake City Lions Club and all proceeds benefit the PTA. Family tickets are $20 (2 adults+more than 2 kids). Thank you to all who joined us for our first Family Resource Night and Membership Meeting! It was wonderful to connect with you all and welcome our new families! There are only 3 more meetings this year! See you on January 17th, April 18th, and June 11th! We want every family member to feel welcome and valued at school and be involved at whatever level works best for their schedule. We understand that life is busy and that schedules don’t always allow us to be at school during school hours! Here are a few ways to support and stay connected with the school and the PTA and to get the most of your PTA Membership. Like us on Facebook @olympichillselementaryschool and stay up to date on both community and school activities and events. 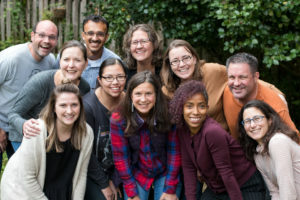 Check out https://www.wastatepta.org/get-involved/member-benefits/ and learn about the many financial benefits of being a PTA member! Discounts on event tickets, car rentals, office/school supplies, and more! You’ll need your login information that was emailed out with your PTA membership card. Please let me know if you haven’t received your membership card via email and we can resend it! Bring in your unexpired Box Tops for Education tabs (found on lots of household products and food) to the main office or have your kiddo give them to their teacher. We’ve set a goal of raising $500 this year! Look for fun collection posters in KidMail soon and get your kids to help! Help support the PTA while doing your regular online or in-store shopping! Follow this Amazon Link and the PTA will get up to 8% of your purchase! Any interest in joining an evening PTA Work Party? Want to help teachers with copying, cutting, laminating, etc. after work? Please email us at olympichillspta@gmail.com if this would be of interest and we’ll get it on the books! Want to help teachers do prep work from the comfort of your own couch? Email us at olympichillspta@gmail.com and we’ll connect you with a teacher and/or project that you can work on during off hours. Volunteer paperwork/background check/proof of residency is NOT required to do these projects from home. Please feel free to email us at olympichillspta@gmail.com with any questions or feedback. We’d love to hear from you and explore new ways to help ALL of our families feel connected to this amazing school. Gracias a todos los que nos acompañaron en nuestra primera Noche de Recursos Familiares y Reunión de Miembros! Fue maravilloso conectarnos con todos ustedes y así mismo dimos la bienvenida a las familias que se incorporaron este año! Solo nos quedan 3 reuniones más este año! Esperamos verlos el 17 de enero, el 18 de abril y el 11 de junio! Nuestro principal deseo, es que todos los miembros de familia se sientan bienvenidos, apreciados en la escuela y que puedan participar en las actividades que mejor coordine con sus horarios. Entendemos que tenemos una vida muy agitada y ocupada y no siempre podemos estar presente en reuniones escolares. Sin embargo tenemos formas para que ustedes puedan apoyar y mantenerse en contacto con la escuela, el PTA y aprovechar al máximo su membresía del PTA. Denos un “me gusta” en el Facebook @olympichillselementaryschool de esta manera se mantendrá informado sobre las actividades y eventos tanto así como comunitarios y los escolares. 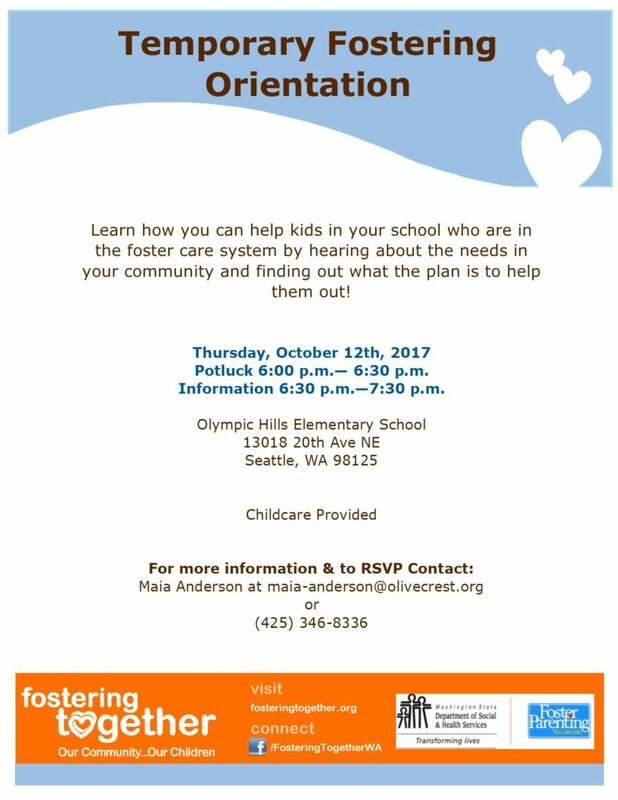 ¡Visite https://www.wastatepta.org/get-involved/member-benefits/ y aprenda sobre los beneficios que tiene por ser miembro del PTA! Tales como, descuentos de boletos para eventos, alquiler de automóviles, útiles de oficina y escolares, y mucho más! Para aprender más de esto, necesitará su información de membresía, la misma que se le envió por correo electrónico con su tarjeta de membresía del PTA. Avísame si aún no ha recibido tu tarjeta de membresía por correo electrónico cosa que lo enviamos nuevamente! Traiga a la oficina de la dirección sus recortes de Box Tops for Education (Estos se pueden encontrar en muchos productos del hogar y alimentos) O también su hijo/a lo puede entregar al maestro de clase. Nuestra meta es recaudar $500 este año! Preste atención a los carteles KidMail y haga que sus hijos los ayuden! ¡Ayude al PTA mientras realiza sus compras regulares en por internet o en las tiendas locales! ¡Siga este enlace de Amazon y por cada compra que haga, el PTA obtendrá hasta el 8%! Tiene interés de unirse a la fiesta de trabajo de la PTA? ¿Quiere ayudar a los maestros con hacer copias, cortar, laminar, etc. después del trabajo? Envíenos un correo electrónico a olympichillspta@gmail.com si le interesa y lo pondremos en la lista de voluntarios. ¿Le gustaría ayudar a los maestros a preparar trabajo de clase desde su hogar? Envíenos un correo electrónico a olympichillspta@gmail.com y lo conectaremos con un maestro y/o proyecto en el que pueda trabajar durante las horas libres. El formulario de voluntariado/verificación de antecedentes/comprobante de residencia NO se requiere para hacer estos proyectos desde casa. Por favor, no dude en enviarnos un correo electrónico a olympichillspta@gmail.com si tiene alguna pregunta o comentario. Nos encantaría saber de usted y aprender nuevas formas para estar conectados con TODAS nuestras familias y así para que todos se sientan conectados con nuestra increíble escuela. We hope that you had a wonderful summer and are having a good start of the school year! The PTA is preparing for a great year ahead with lots of fun programs for our kids and opportunities for families to be involved with our amazing school. Check your student’s backpack this week for a Membership Form, Volunteer Form, and more info about upcoming programs and events. ALL volunteers must complete the required Volunteer Application before volunteering at the school or chaperoning field trips. Applications are available online here or you can get a paper copy from Ms. Joyce in the main office. We’d love to help you find a volunteer opportunity that will be fulfilling and fun, have a great impact on our students, and fit your schedule! You can fill out the Volunteer Form here and we’ll be in touch with details soon. Please note that the form will help us get an idea of volunteer interest and availability but will not lock you into a specific task or date. Our first PTA Meeting will be on Thursday, October 4th and we would love to see you! We’ll start with dinner at 6PM (details to follow soon! ), conduct a little bit of PTA business at 6:30PM (Standing Rules! Financial Review! Budget! ), and then hear from our Art Docent Team and new art teacher, Ms. Nancy Smith, on how they are working together to bring art to EVERY student at OHE! And then… WE GET TO DO ART! Ms. Smith will lead us through a fun project to give us a taste of what our kiddos get to do at school. Free childcare and Spanish interpretation provided. Let’s advocate for our kids! Please take a few moments and fill out the Washington State PTA Legislative Assembly Survey and have a voice in naming the Top 5 Advocacy Issues for Washington State PTA. Your results will help our Legislative Chair represent our community at the Legislative Assembly. Please submit by Oct. 5th! Please check out http://olympichillspta.org and like us on Facebook @OlympicHillsElementary to stay up to date with events and announcements. If you have any questions or feedback, please email the PTA at olympichillspta@gmail.com and we’ll get your note to the appropriate person. The board is always happy to connect with you and answer any questions! Thank you for all that you bring to our school community! We are honored to work with you to serve ALL of our kids and look forward to a great year of community building and collaboration. Welcome to the Olympic Hills Elementary (OHE) Parent Teacher Association (PTA)! 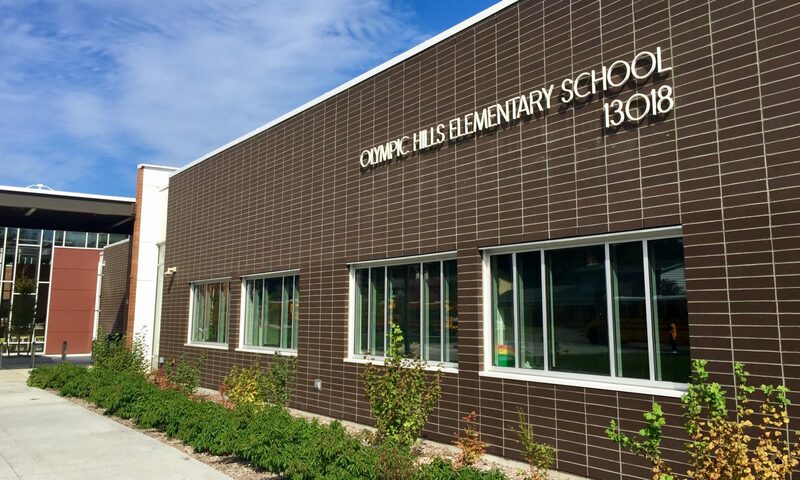 Our mission is to work together to support, inform, and connect the diverse community of Olympic Hills Elementary by investing in our children’s education, safety, and well-being through fun and inclusive community activities, after school enrichment programs, and fundraising. We are an open and welcoming group of people from many different backgrounds and would love to meet you! Get to know other families while doing project prep for teachers at a monthly Work Party; share your passion and talents with students in our After School Enrichment, Art Docent, or Science Fair Programs; pass out treats at the Ice Cream Social; connect with your school community at Family Resource Nights and More! Your participation and involvement at any level is incredibly valuable to ALL of our students! We rely entirely on volunteer help from parents, guardians, and community members, so come join the fun! PTA membership is encouraged, but not required, to participate in events, attend meetings, or get involved! A membership form is included in your packet; membership allows you to vote on PTA business and your voice and vote matter! We are a 501(c)3 non-profit organization and members decide how PTA resources are allocated to best serve ALL OHE students. The first Family Resource Night of the school year is on October 4th at 6pm. All families are invited! Family Resource Nights start with a potluck dinner, followed by a bit of PTA business and a presentation OHE teachers or staff, or other community leaders. Stay tuned for details! We offer FREE childcare during meetings to make family participation as easy as possible. Please reach out to us at olympichillspta@gmail.com with any questions, or talk to a board member at pick-up or drop-off–we’re always happy to chat and learn more about the families who make up our amazing school community. Get your Olympic Hills T-shirts! The PTA is selling Olympic Hills t-shirts and sweatshirts in all different sizes and colors. Download the form here and bring to school with payment. Purple with yellow writing! Gray with black writing! Every size! Find the perfect shirt to represent YOUR school spirit. Thank you to those of you who joined us for the Pancake Breakfast on Saturday. We raised $1,438 for the PTA! A big thank you to the Lake City Lions Club for hosting and in particular to Chuck Dickey who organized it and the folks who cooked and served all of the delicious food. Thanks too to our wonderful teachers and volunteers who helped out on the day and to Bronwen Houck and Maggie Cheung for displaying student work from the after school Coloring and Art Clubs, and Michael Holland and the Olympic Hills Choir for their wonderful music and singing! Join us this weekend for pancakes, eggs, and turkey sausage (GF pancakes available!) as we celebrate the end of a great year and raise money for the next. We’ll enjoy a performance from the school choir as well as check out what the after school photography, art, and color clubs have been up to! 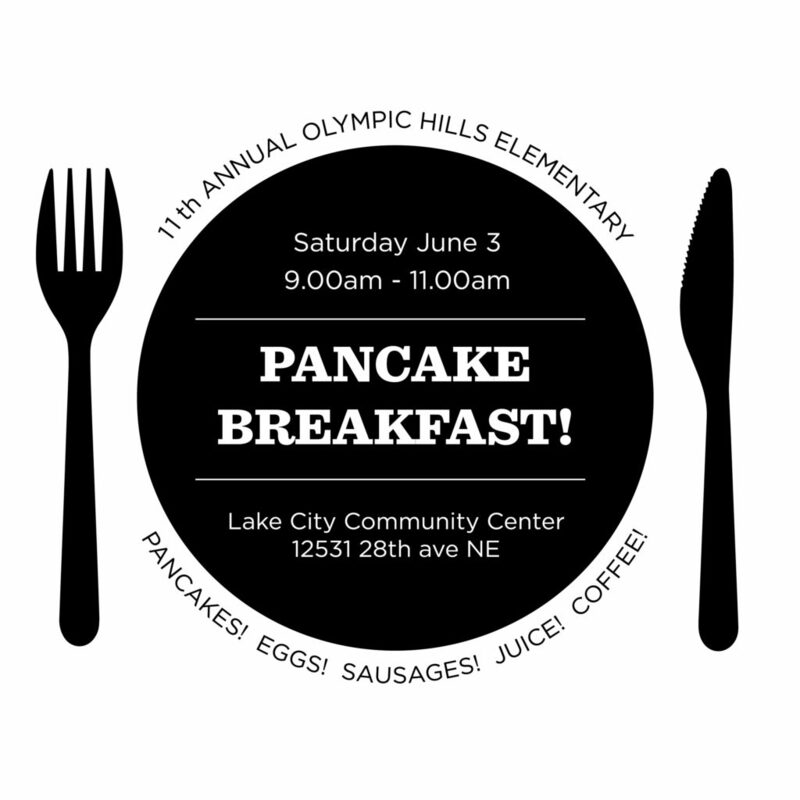 This event is sponsored entirely by the Lake City Lions Club and all proceeds go to Olympic Hills. Tickets are $6 for adults, $4 for kids, or $20 for a family of two adults and two or more kids. Tickets are available at the door. Bring your friends, family, coworkers, neighbors, even your soccer team for great food and fun!